A lot of new smartphone manufacturers have forayed into India recently. We saw the launch of 10. Or, RealMe, Mobiistar and more. COMIO, a relatively new brand who have been in the market for 6-7 months now has forayed into South India finally. 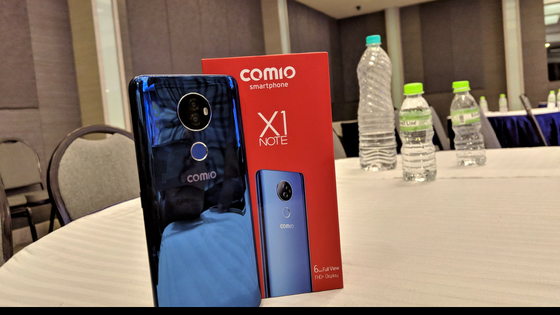 COMIO is primarily an offline brand that launched in North and the East initially and in this article we will see COMIO X1 Note First Impressions. 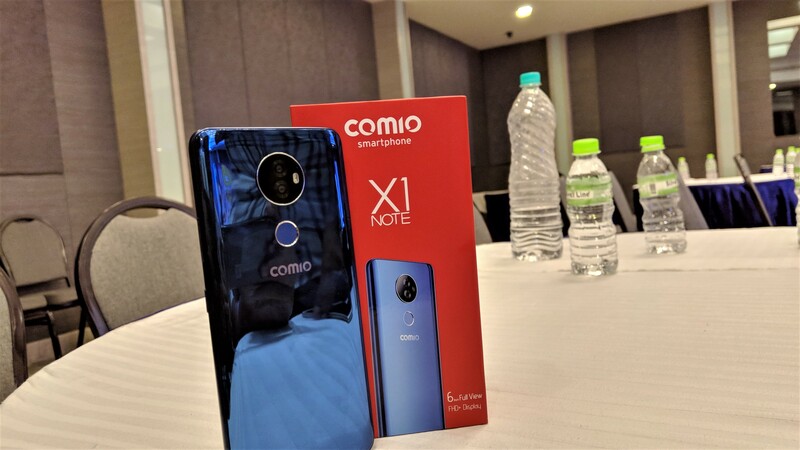 Yesterday, at a launch event in Chennai, COMIO officially forayed into the South Indian market with the launch of its flagship smartphone, X1 Note. We spent some time with the device and in this article, we will walk you through our hands-on and first impressions of the device. COMIO X1 Note has a reflective back which looks amazing. As it is has a glossy back, it is prone to smudges and fingerprints quickly. A good TPU case should do the job. In our initial impressions, the device felt very light and gave a solid feel in hand. The build quality of the X1 Note from COMIO is good. Kudos to COMIO for the design! 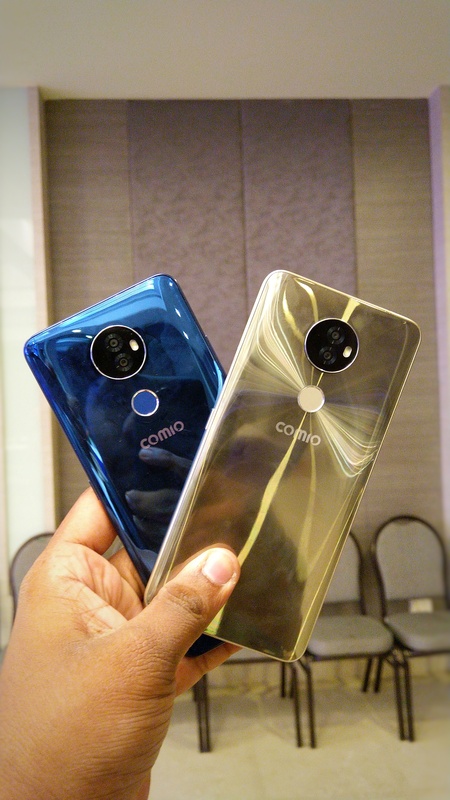 COMIO X1 Note comes with a FULL HD+ display that has an aspect ratio of 18:9 that is seen is most of the smartphones launched in 2018 and it is spread over 6 inches. COMIO calls it Full View Display and the panel used by them is quite good. The colors are natural and well saturated. We could not test the sunlight legibility with the device. But we will have to say more on that in our full review. In our initial impressions, the display on the X1 note was good for the price point. 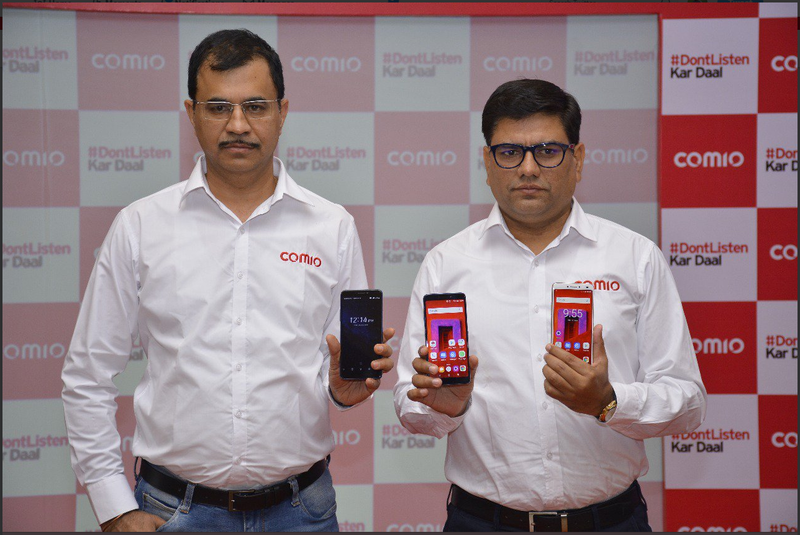 COMIO X1 Note is powered by a MediaTek MT8735 64-bit Quad-Core processor clocked at 1.45Ghz and it is coupled with 3GB RAM. In the storage front, there is 32GB internal storage and it can be expanded via a MicroSD card. At first boot, 7GB is used by the system and the rest is available to use. We will test the smartphone and will have to say more about it in our full review. The X1 Note from COMIO sports a Dual Camera set up to the rear. It is a combination of 13MP + 5MP accompanied by a LED flash. 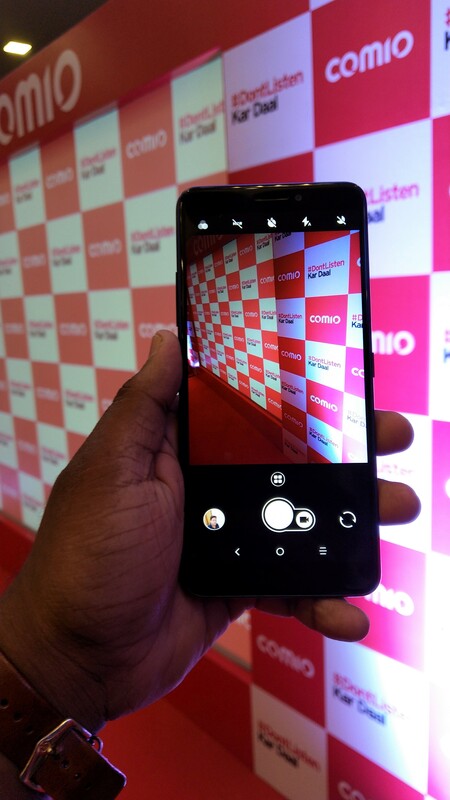 The front-facing camera is an 8MP shooter which also has a LED flash. The camera app offers modes like Auto, Panorama, Time Lapse, Social, Light trace, Portrait etc. COMIO has also added Electronic Image Stabilization(EIS) on this smartphone. Sweet! In our limited time with the device, the pictures taken with the X1 Note came out quite good, actually. COMIO X1 Note is backed up by a 2900mAh non-removable battery. With 6 inches of FULL Display, the battery capacity looks less, on paper at least. It is to be seen how well COMIO has optimized the software for the optimal battery life. We will be reviewing the smartphone soon. Stay tuned to our full review!